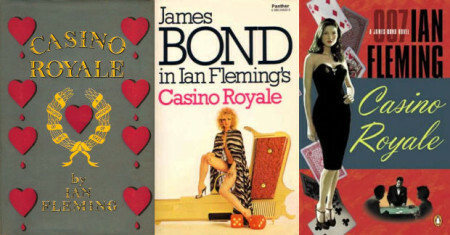 James Bond smoked exactly the same cigarettes as Ian Fleming, hand made by Morland. A blend of Balkan and Turkish tobacco, the cigarettes were filterless with three gold rings that signified the rank of commander. In Casino Royale Bond’s lighter is simply described as an oxidised Ronson. 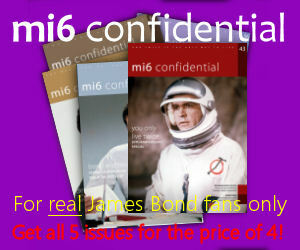 Bond drives the first of his Bentleys in Casino Royale, a 4½ litre model with Amherst Villiers supercharger. Fleming mentions Bond’s .25 Beretta with a skeleton grip. Bond has a a long-barrelled Colt Army Special .45 concealed in his Bentley. 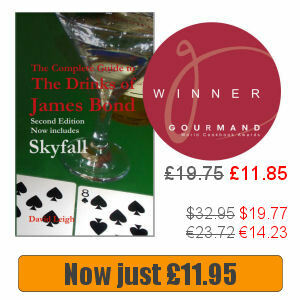 Bond specifies Gordon’s gin in his Vesper cocktail. Today’s Gordon’s is weaker than in Fleming’s day. You therefore need to use either Gordon’s Export, which is stronger, or substitute Gordon’s with another gin. Kina Lillet was a wine-based tonic flavoured with quinine and a blend of fruit liqueurs first created towards the end of nineteenth century. The product name was changed to plain Lillet, later Lillet Blanc, but crucially the product was reformulated in the 1980s. This reduced bitterness by dropping the quinine content. While its origins can be traced back to 1734, making it one of the oldest Champagne houses, the Taittinger name dates from 1931. The widow of François Clicquot (veuve means widow in French) is credited with creating the first modern Champagne in 1810.